Botox is most popularly perceived to be a medical treatment that reduces wrinkles and fine lines. However, Botox can do so much more than what is commonly thought. For example, Botox can treat muscle spasms and muscle that are stiff. While Botox is sometimes used for cosmetic purposes, it can also treat problematic diagnosis. Also, while many cosmetic procedures are thought to be expensive Botox, on the other hand, is affordable for anyone of any class or stature. One of the most popularized benefits of Botox is decreasing the signs of aging. With Botox, a person can reduce wrinkles around the brows, some areas around the eyes, as well as smile lines. When Botox is appropriately dispensed the affected muscles are alert which result in fewer wrinkles on the face. However, it’s important that you go to a doctor you trust when you want to undergo a Botox injection. Due to its popularity, many doctors claim to be injecting you with Botox, but in actuality, it’s something entirely different. Therefore, Botox can help you reduce the number of wrinkles if you so wish to have the procedure done. Many people don’t know that Botox can improve your migraines. 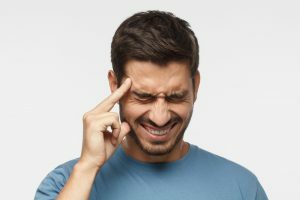 In fact, people who have used Botox to treat their migraines have found that they experience fewer migraines than when they use prescription medication to try and control their headaches. Botox relieves migraines by relaxing muscles in the brain in order to slow the response to pain. Thus, people who have migraines have fewer headaches since they don’t feel the pain brought on by a headache. Therefore, using Botox as a treatment for migraines can be the perfect solution for some people. However, results will vary from person to person since everyone reacts differently to treatments. Botox can also relieve hyperhidrosis or people who experience extreme sweating in their daily lives. Sometimes extreme sweating is caused by an antidepressant; however, by getting a Botox injection, you can alleviate your extreme sweating. People who have had extreme sweating and used Botox as a treatment have found that while Botox works it may take some time. Depending on how you react to the chemical compound, it may take a few days, weeks, or a month or two to go into effect. Therefore, while Botox works to relieve extreme sweating, it may take some time to do so. Bell’s Palsy develops from destruction or trauma to the facial nerves; thus, the nearby muscles diminish, and it’s likely that one half of the face will drop due to the impaired muscles. However, Botox can be used to ease muscles. In fact, some doctors will administer Botox to the damaged side of the face in order to relax muscles that might have tensed up, while other doctors will apply Botox to the other side of the face which will result in a more stabilized face. Therefore, Botox can be used to ease the effects of Bell’s Palsy. 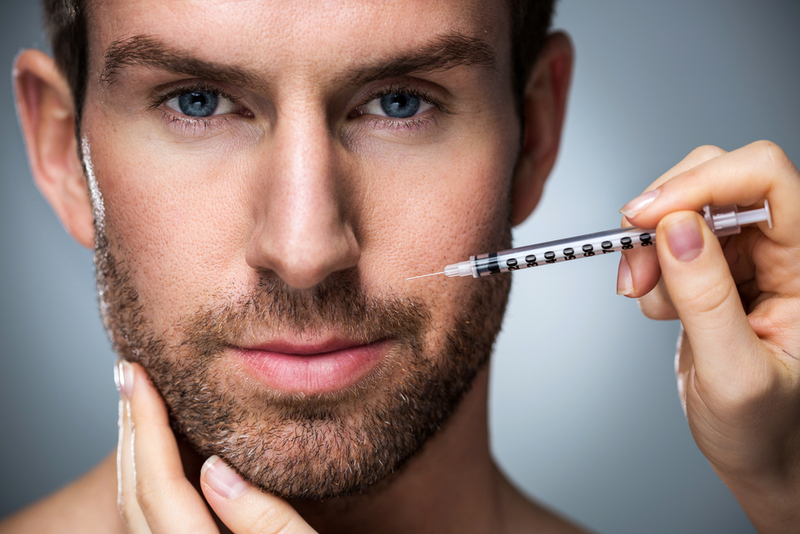 For men who have enlarged prostates, Botox can help you find relief. 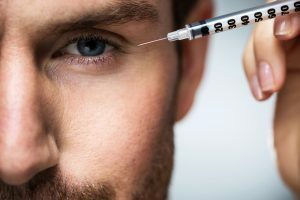 By injecting Botox into the prostate gland most men experience relief for up to one year; however, depending on how you react to Botox you may find relief longer. Also, by using Botox, you’ll notice that the number of urinary tracts infections has decreased as well as the amount of times you have to urinate. People who have used Botox for an extended period of time have found that they no longer have to use prescription medication for treatment because Botox has cured their problem. However, not all people may see these results. Therefore, Botox can help men find relief to their prostate issues. Some men experience incontinence or a shortage of control over their urinary patterns. However, Botox can help men who suffer from overactive bladders. Similarly, to how Botox affects men with enlarged prostates, Botox targets and provides relief for day-to-day leakage when urinating. Also, people who have used Botox to treat their urinary problems have found that Botox is one of the most effective treatments on the market. Unlike common prescription medication, Botox doesn’t have side effects that affect your everyday life. Therefore, Botox is an effective solution if you suffer from incontinence. While Botox may be popular for reducing wrinkles; however, doctors didn’t plan on Botox being marketed for that primary goal. In fact, when Botox was first marketed to people, it was suggested to help people who have muscle spasm and stiff muscles. People who experience stiffness in their upper limbs, lower limbs, or experience eye spasms can benefit from Botox. While most people overlook these types of benefits due to Botox known status as a cosmetic anti-aging solution, however, it does provide relief for those that need it. Therefore, long before it was a high-profile procedure Botox did have a beneficial purpose. Botox injections are one of the most cost-effective cosmetic procedures on the market. In fact, they can cost from about $160 to $340, which in the grand scale of cosmetic procedures is pretty cheap. Also, depending on the doctor, you go to they might allow you extra time with financing, however, before you pay for a Botox injection make sure that you’re receiving it from a qualified and licensed source. There are many scams out there that offer beauty for money. Therefore, while Botox does provide a cost-effective alternative to some other treatment plans, it’s important that you take precautions when looking for a Botox source. Botox injections are also known to produce results in a speedy fashion. Depending on the produce, some people have found that they see results in a matter of days or weeks. However, others have found that to treat their migraine problems with Botox has taken several months. But of course, everyone has a different reaction to Botox and thus will see results in a different time frame. Therefore, Botox is known to be a treatment that produces results rather quickly in individuals, although it might not work for all individuals.